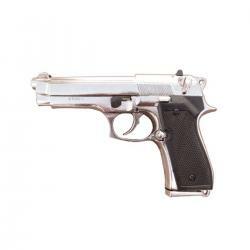 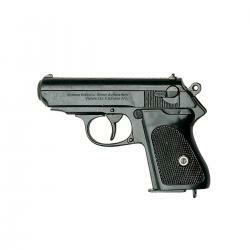 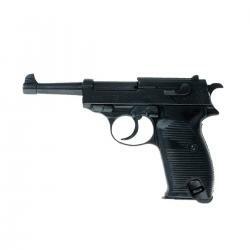 Reproduction of a pistol with silencer, made of metal and plastic grips, with simulated mechanism of charging and fire. 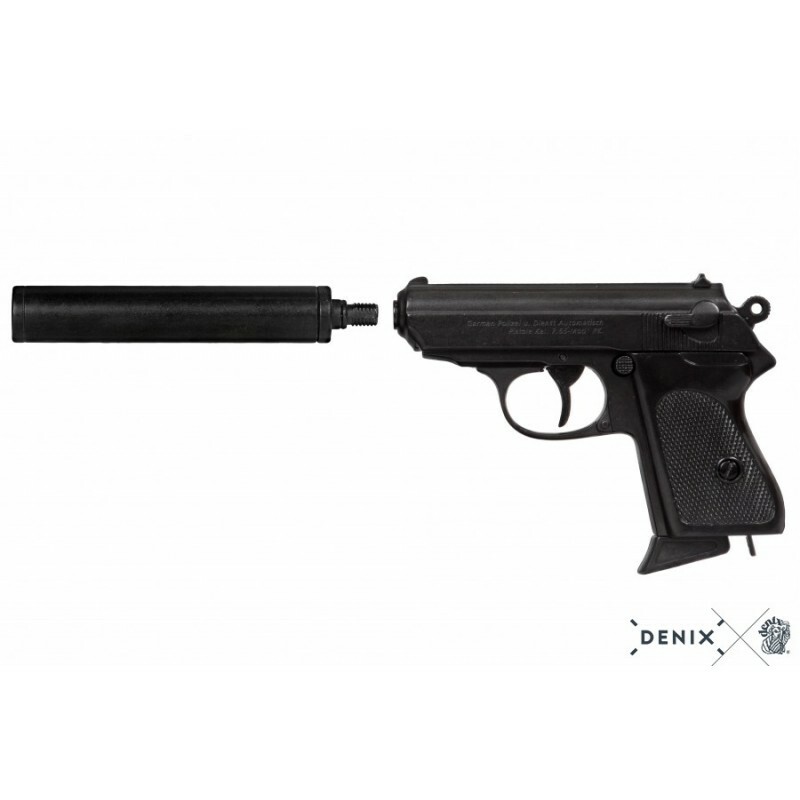 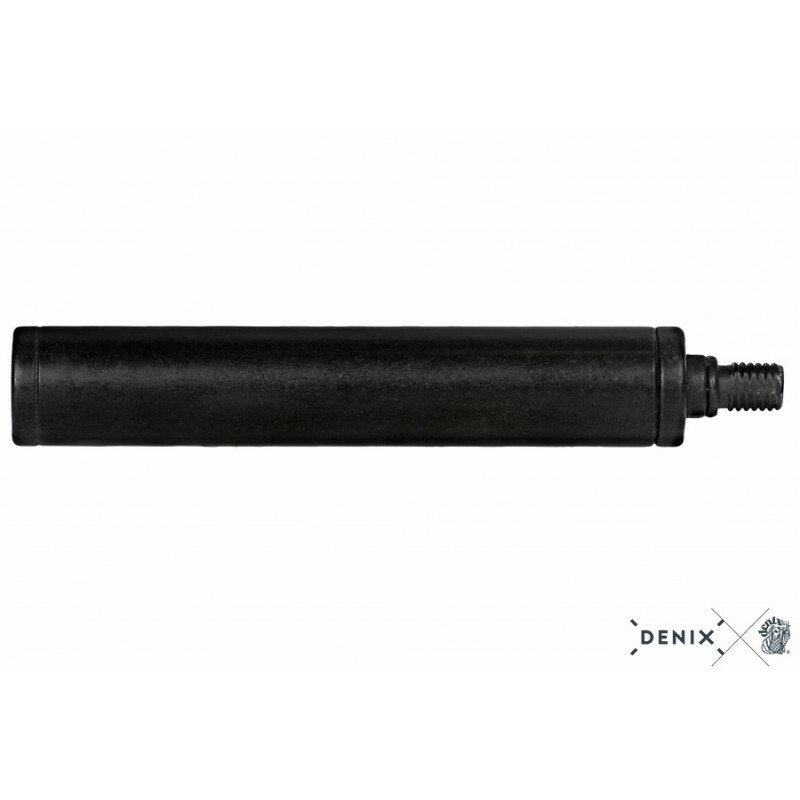 The magazine and the silencer are removable. 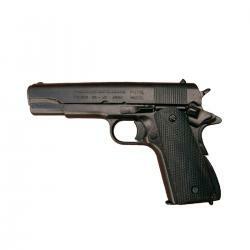 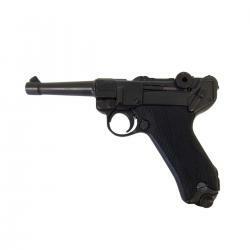 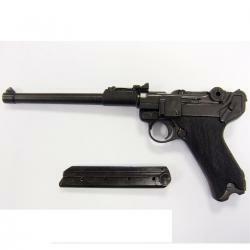 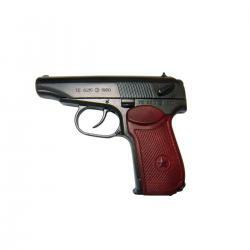 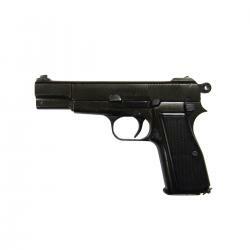 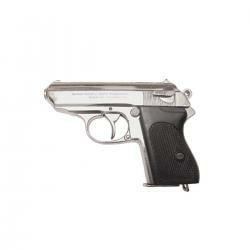 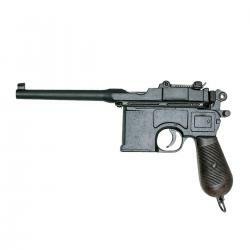 Made in Germany in 1931, known by its initials whose name comes from the German "Polizei Pistole Kurz". 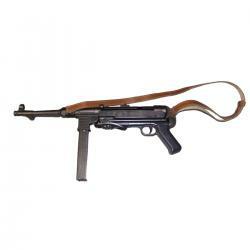 Used by the army during World War II. 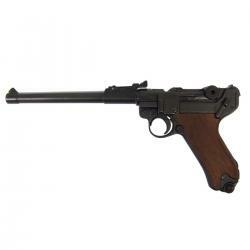 It was the weapon used by Adolf Hitler to commit suicide. It was also the first semiautomatic pistol that could be carried with a bullet in the chamber without danger of accidental firing by blows or falls. 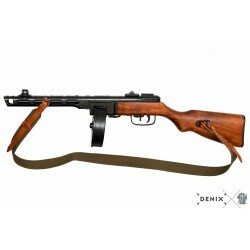 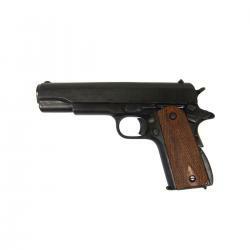 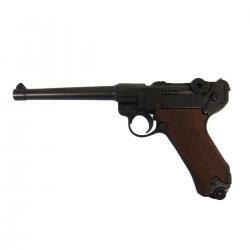 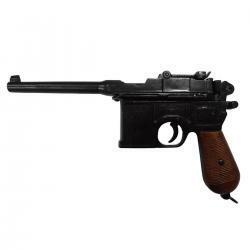 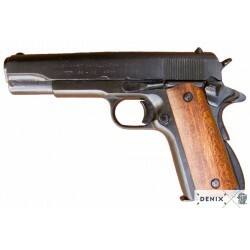 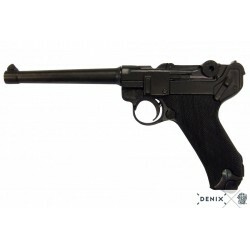 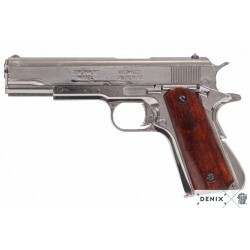 Its discreet and comfortable size, the little recoil of the firing and the security of its mechanism popularized it throughout the twentieth century, becoming the favorite weapon of the secret services of the West. 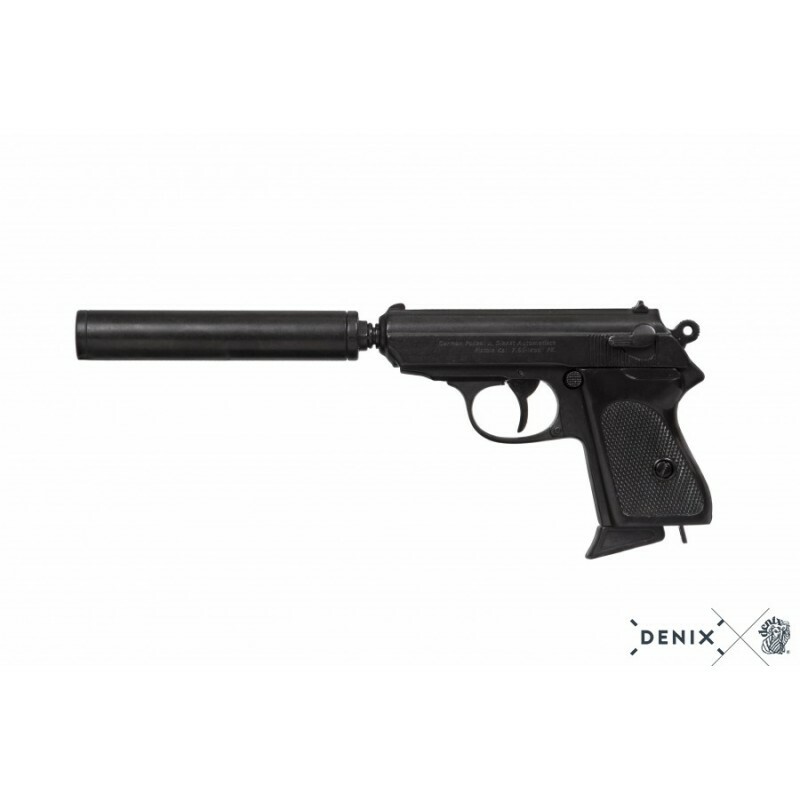 It became famous thanks to the fiction character of James Bond 007, who has used it in many of his films, where he attaches a silencer to the barrel when a subtile job is required. 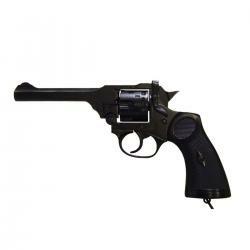 It is also the weapon used by Holly Hunter in his role of detective M.J. in Copycat. 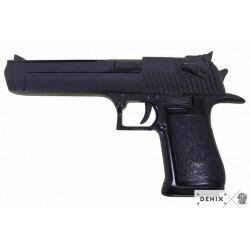 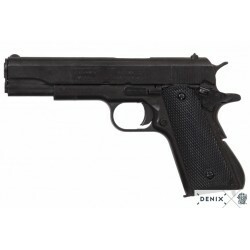 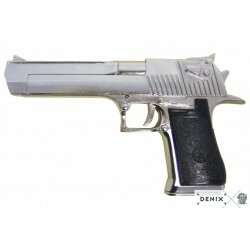 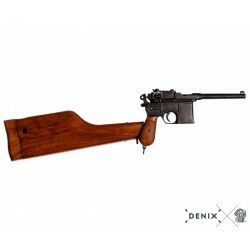 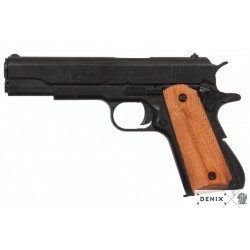 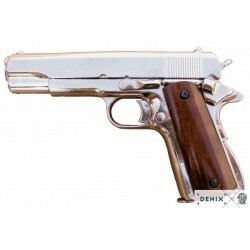 Feel like the most famous secret agent of the cinema at the service of Her Majesty with the Denix replica of this automatic pistol!